Discover some of the city’s must-see traditional sights in one hit by heading to the compact Sultanahmet district. Here you’ll find the Byzantine church of Aya Sofya (Church of the Holy Wisdom) and the Blue Mosque, both equally imposing and incredible, as well as the ornate pavilions of the Topkapi Palace. The Grand Bazaar, one of the largest and oldest covered markets in the world, is also not to be missed. Simply stroll around to experience the atmosphere of this vast warren of streets in the Fatih district, or choose from the amazing array of goods on offer, including hand-loomed textiles, pottery and beautifully aromatic soaps. Visit the Beyoglu district to see modern Istanbul in full swing, from the hectic shopping strip of Istiklal Caddesi to the bustling Taksim Square. 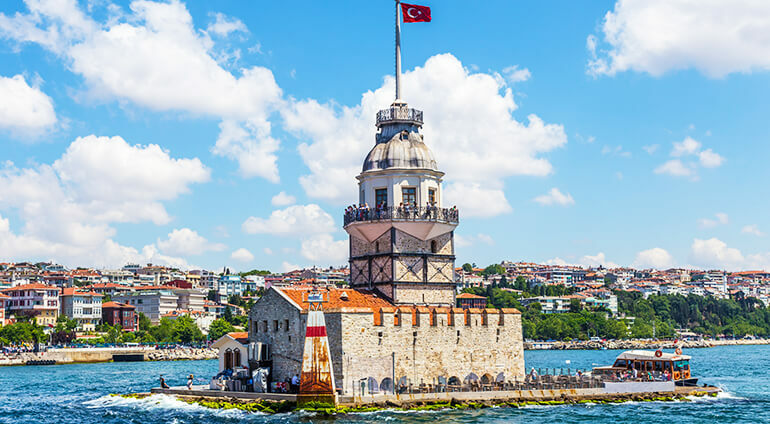 With so many things to do in Istanbul, if you tired of sightseeing and shopping you can always hit the beach and take in the clear blue waters of the Sea of Marmara found at the south of the city.